It's time to end homelessness. At CARES of NY, Inc., we envision a future where all people have access to safe, affordable housing and the social supports to remain housed. CARES of NY, Inc. held a summit on March 20 with Nan Roman, President and CEO of the National Alliance to End Homelessness (NAEH). The event, Solving Homelessness with Affordable Housing – Stories of Positive Community Impact, was held to raise awareness of the critical importance of affordable housing, as well as to better educate the community on the purpose and benefits of homeless housing. 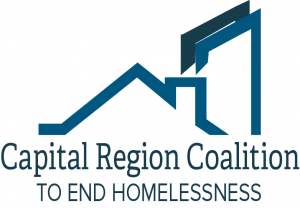 We are a non-profit organization that empowers communities to end homelessness through community planning, program data, supportive housing, and awareness-building. View upcoming workshops that CARES will be hosting on community homelessness services. Find out what homelessness looked like in Albany, Rensselaer, Saratoga, and Schenectady counties in 2017.